Today you can pre-order PLANET JARRE - 50 years of music: 41 tracks, 2 brand-new songs and lots of rarities. To top things of, the Box Set and Vinyl Book come with a link to download selected tracks in 5.1. Pre-Order now and access the rarity „Hypnose“ today. ”Going through the body of my existing work for this project, I realized that I have four quite different styles of composition. The first is very likely to be influenced by my classical background along with my love of movie soundtracks, resulting in some long ambient atmospheric pieces with almost no beats. I call them: Soundscapes. The second comes from the idea that, for me, the most important element in music is the melody. Some tracks are built around a simple melodic lead played at the beginning on an electronic or an acoustic instrument. I call them: Themes. The third is directly driven by the repetitive and hypnotic approach electronic instruments are technically able to provide. I started to experiment this system far before any sync system (such as midi) and I had to play these sequences by hand: these loops & sequences are created from sequencers or drum machines. Obviously I call them: Sequences. The fourth is really based on experimentations from recordings. Instead of starting a track from a melodic idea, but starting rather from shaping and creating raw sounds – using samplers, modular synthesizers and all kinds of machines. This was the way I set out to create my first tracks – before any samplers – just with a tape recorder, a microphone, some scissors and sellotape. I call them: Explorations & Early Works. People are focusing on shorter and shorter moments of music by zapping constantly. But they are also spending more and more time listening to playlists throughout the day wherever they are, whatever they are doing, to best suit their specific activity or mood. I divided this project into four different “playlists”, four different territories… which all make up in a sense, my personal planet. 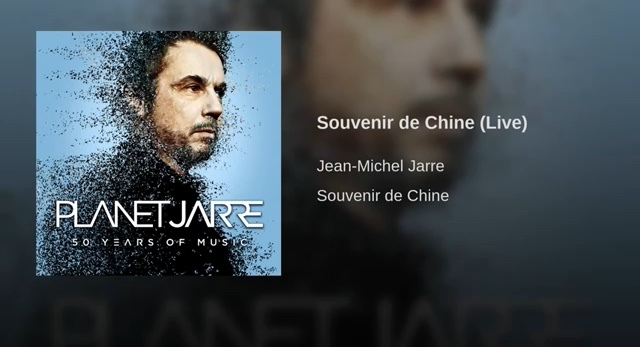 Exciting weeks ahead with #PlanetJarre. This playlist from Spotify will be updated with content out prior to release like the two new songs “Herbalizer” and “Coachella Opening”, track by track information and some real rarities. The first new content added this week is the rarity “Hypnose”. Become a follower now to see new content first. Incredible fan interpretation of #PlanetJarre by “teddynash”. Always so nice to see your your thoughts on new projects. Please keep sending, would love to see more. Teddy Nash should be involved in Jarre's next projetcts, he's very talented. Feat. four previously unreleased songs: The brand new recordings “Coachella Opening” and “Herbalizer” plus “Music for Supermarkets (Demo Excerpt)” and “AOR BLEU” from the vault plus four more rarities and longtime unavailable tracks: “La Cage”, “Erosmachine”, “Happiness is a Sad Song” and “Hypnose”. 4-LP limited Edition Vinyl Media Book feat. all 41 Tracks 4 heavy weight 180g black vinyl disc in a flip pages coffetable book format plus a download code to access the complete album as a high quality WAV-File download plus 12 tracks mixed in 5.1. The consecutive numbered Deluxe Fan Box feat all 41 Tracks on 2-CD Deluxe Digipack Edition plus all 41 Track on 2 cassette tapes and a download card to access the complete album as a high quality WAV-File download plus 12 tracks mixed in 5.1. Deluxe CD feat. all 41 Track on 2 CD in a 6-page digipack including a 24 page full color booklet. 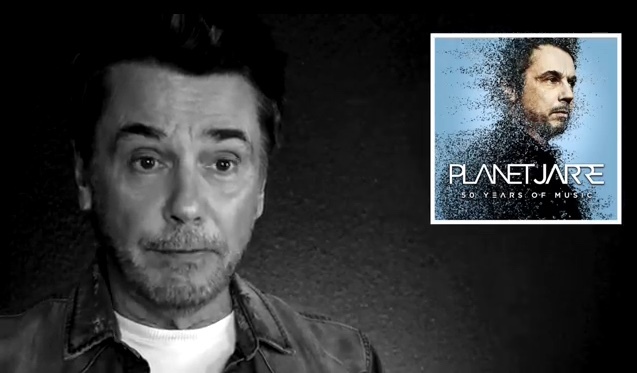 #PlanetJarre: 41 Tracks curated, remastered and retouched by JMJ himself. Featuring four previously unreleased songs: The brand new recordings “Coachella Opening” and “Herbalizer” plus “Music for Supermarkets (Demo Excerpt)” and “AOR BLEU”. As well as four more rarities and longtime unavailable tracks: “La Cage”, “Erosmachine”, “Happiness is a Sad Song” and “Hypnose”. Well... Thanks Kata. All I wanna know is the content of the book Inside the most expensive box but I had no response.